Having a good set of brand guidelines is vital for any successful business. In fact, almost all businesses will have a designated guide for brand standards, which provides strict instructions on how to produce any materials associated with the brand. Curious about your favorite companies? Here are some popular examples. In the competitive world of email marketing, businesses strive to stand out from the crowd in a busy inbox. In order to do well and be recognized by customers, it is important to remember that consistency is key. If your email design strays too far from the design of your website or any other published material, your customer may not associate it with you, or may not be able to navigate it in the way they are used to. After all, we’re creatures of habit! 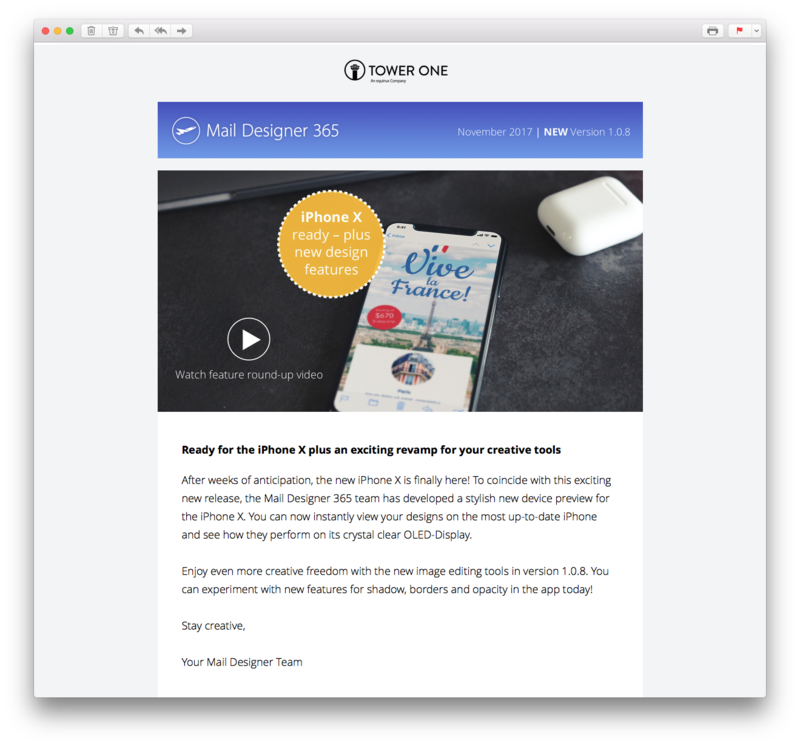 This article will take you through the branding must-haves when it comes to email design. The font you use for your email newsletters should be the same, or as close as possible to, the font you use on your website. Mail Designer 365 gives you the opportunity to enable backup fonts and also choose from a list of “email safe” fonts if your usual font is not supported via email. The key here is to ensure the resemblance is as close as possible to your busines. 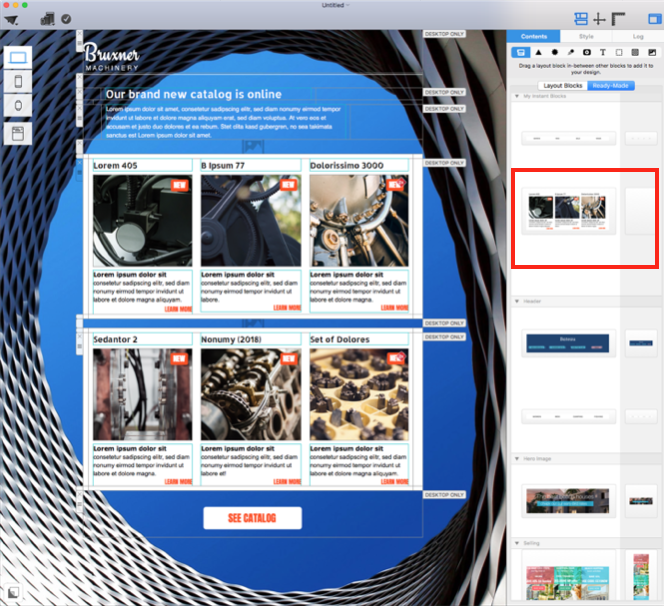 Don’t be afraid to use multiple fonts in your designs, Mail Designer 365 offers you over 700 fonts to experiment with. Be sure to choose at least one font that matches your website, and don’t use more than three fonts in one single design. If in doubt, Arial and Tahoma are both very clear, easily-recognisable fonts which can be adapted well to any design. 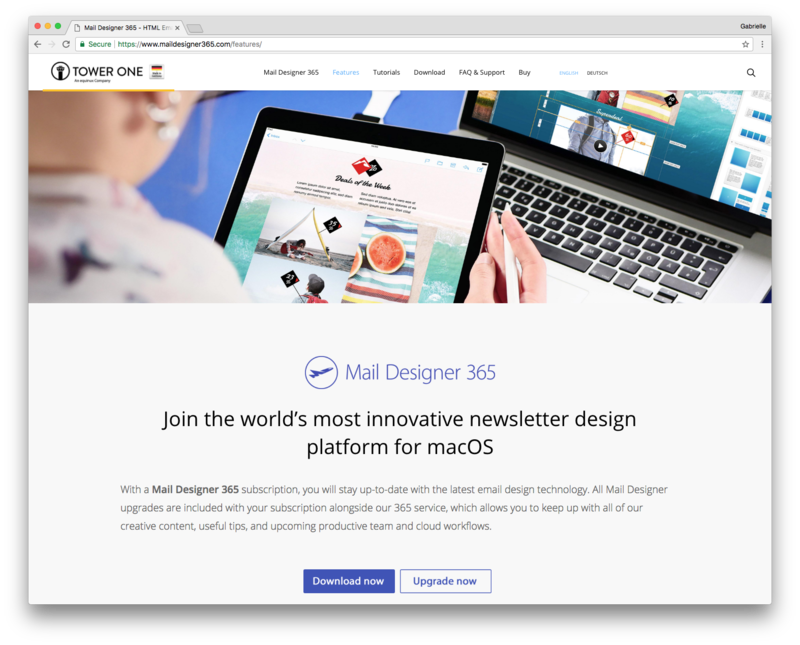 As shown below, we always stick to using the font Open Sans in our email designs, as this is the primary font used on the Mail Designer 365 website. Your logo speaks a thousand words; think of McDonald’s golden arches, or the famous Nike tick. As a business, you rely heavily upon your logo to get you noticed by both potential and existing customers. For this reason, it’s super important to build your logo into your email design in order to promote your brand. Make sure that it is clear and easy to identify (ie. situated at the top of the email.) As you saw from the earlier examples of brand guidelines, most brands are very particular when it comes to the dimensions of their logo. Logos which are too big come across as intimidating and obnoxious, but logos which are too small can be easily overlooked and often don’t do your brand justice. Find the perfect fit for your designs and then make a note of it in your brand guidelines so you always stay consistent. Color is an important visual tool which can be used to prompt a range of different emotions and feelings in your customer. As well as considering the tone you want to create in your email, you should also be sure to use colors which represent your brand well. For example, if your logo and website design is made up of red tones, it would be a good idea to use the same shades of red in your email designs. Mail Designer 365 supports the use of RGB color codes, meaning you’ll always have color consistency throughout your designs. 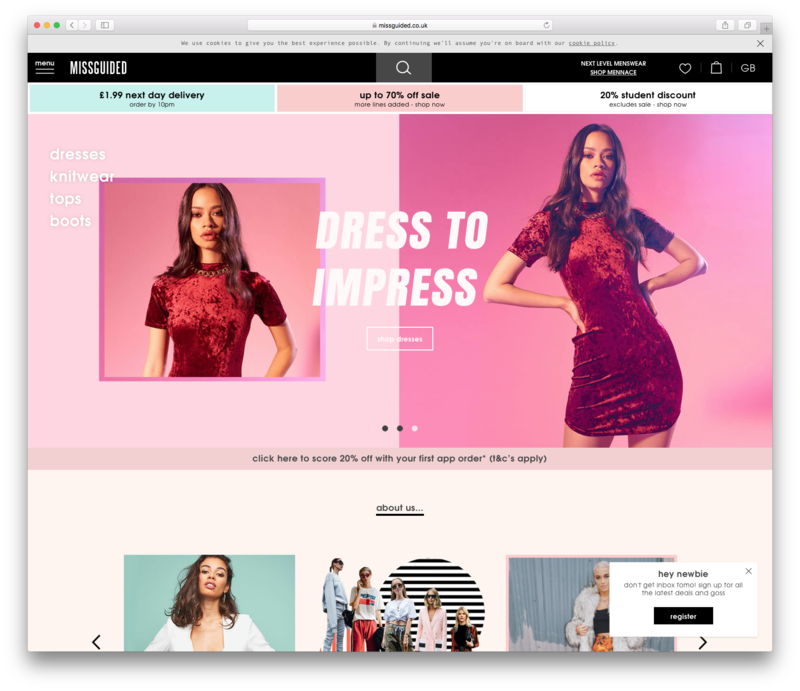 We love how Missguided use a consistent color scheme in their emails. For the customer, their designs are vibrant, eye-catching and completely synonymous with the website; making the brand easy to identify. The millennial pink vibe is also bang on trend – great work guys! Touching again upon familiarity, it is also a good idea to keep your layout consistent and easy for readers to navigate. 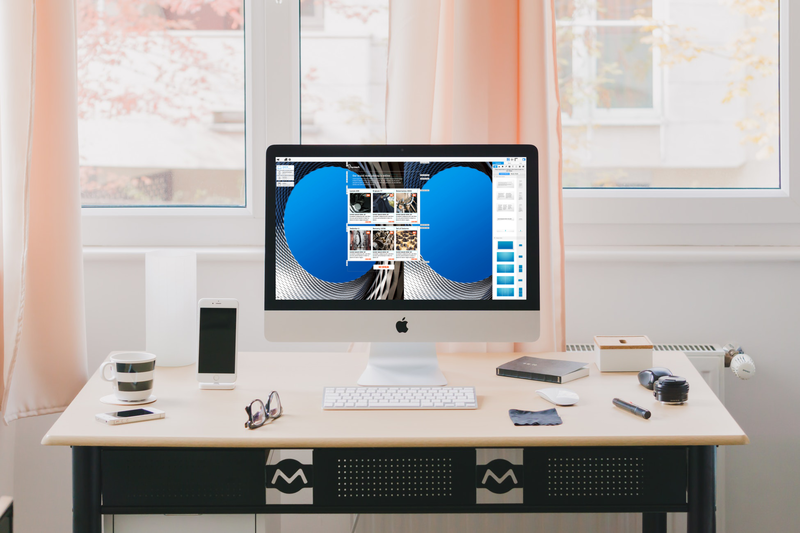 With Mail Designer 365, you have the ability to quickly and easily save combinations of layout blocks which you can then use over and over to recreate a familiar design. We find this works particularly well for displaying products and offers. To be even more consistent and on brand, try to recreate the pricing panels displayed on your website. When your customers click through, they will be instantly greeted by the same layout, which will make the purchase process even more straightforward. Tip: Use the mobile view to make your product catalogues compatible on smartphones too! In this article we’ve covered the most important aspects of branding and how to easily establish a set of brand guidelines to use in your email designs. Turn over a new leaf in 2018 and get your designs noticed and appreciated by customers! Establishing brand guidelines is a hugely important part of email marketing. It’s not enough to have a great looking design, your emails have to be on brand to be most effective. Consistency is key. Use fonts and layout styles which your customers are familiar with to get your emails noticed and acted upon. Color is an important visual tool. Use it to your advantage to get across your message effectively. Your business logo is the epitome of your brand and what customers look for to identify you. Make it clear and get the dimensions spot on and your designs will be a great representation of your business.